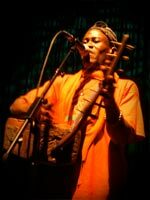 "It's been a decade now since Baka Beyond introduced their distinctive African-Celtic crossover to the world, and here on their fifth album they sound in very rude health indeed. Bandleader Martin Cradick has been back to the Congo rainforest to record the Baka people (stick this enhanced CD in your computer and have a look at the video clip for evidence). 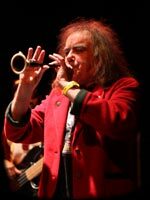 Their voices and percussion can be heard on the jaunty opener Awaya Baka and on wandering Spirit, which also features new-boy Alan Burton, bringing another Celtic flavour to the band. All in all the Celtic influence is pretty strong this time round, with a reel from Cornwall and some songs from Scotland (including the haunting A Thousand Curses on Love). But there's a constant clatter of percussion keeping the African side of things alive. As well as Burton, kora-man about town Seckou Keita also makes his debut with the band proper (having already appeared as a third of the spin-off trio Ete). He mainly serves as part of the percussion section, but also gets to bring out the kora a few times, most notably on the closing Silver Whistle. For the rest it's Baka Beyond business as usual: light, melodic songs, fiery playing and a charm all of their own. There's really no one else around doing it quite like this."